If you do your share of Italian recipes, a common product that you can find in just about any store has many people confused: San Marzano tomatoes. Most good cooks agree that San Marzano tomatoes are some of the best canned tomatoes you can buy. San Marzano is a region in Italy near Naples and Mt. Vesuvius, and the special combination of climate and volcanic soil make these plum tomatoes world famous. They have less water, fewer seeds and are picked off the vine when perfectly ripe and processed the same day. Sold everywhere, but not the real deal. Grown in the USA. Real San Marzano tomatoes. 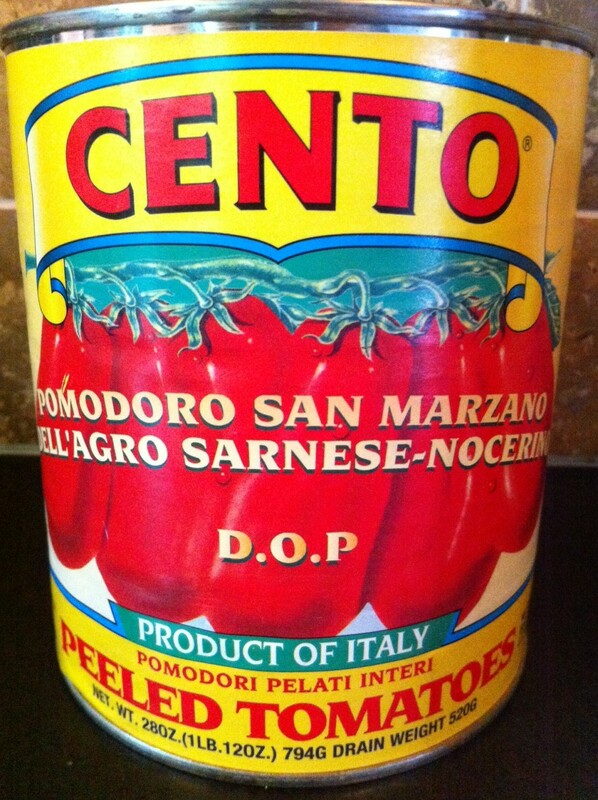 Cento also sells non-certified San Marzano’s, so always look for the DOP on the can. Another way to tell when you’re in the market is simple. Check the price. Your average can of tomatoes will be in the $2 range. 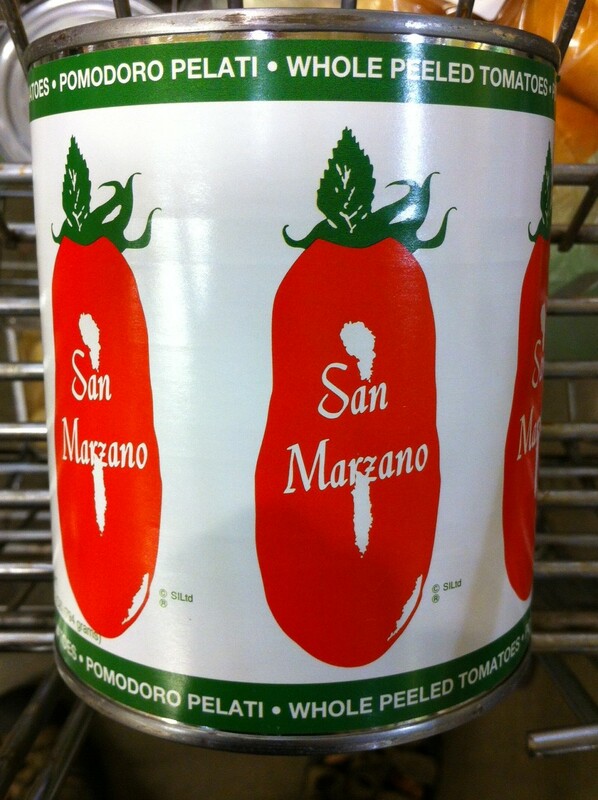 Real DOP San Marzano tomatoes: about $4–$5 a can. It’s all about quality. I can’t find the brand name “San Marzano” tomatoes anywhere, so I have to use the Cento ones. Good info! Thanks for posting this.